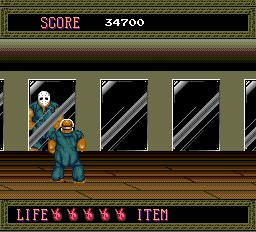 It’s Halloween and I decided to do some MobyGames screenshot recon on two appropriately themed games. 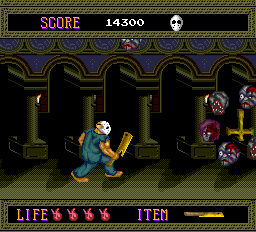 Inspired by Benj Edwards’ recent vintage scan, I decided to try out an entry in the Splatterhouse series. Further, I sprung for the iPhone version of Resident Evil 4: Mobile Edition, the most expensive iPhone app I have purchased to date (a whopping US$7). Yeah, that reflection is going to jump out of the mirror, many times over. Rick’s weapon of choice is a large stick that happens to be laying around in most levels, which is a good thing because this big burly dude is unable to carry the stick while climbing up ladders to different levels. Different levels seem to have signature weapons that are highlighted in the level card, like shotgun, spears, and machetes. Even though he’s only the stage 3 boss, this chainsaw-handed monstrosity is easily the most menacing thing I saw in the game. The fact that Rick is facing off with him using a shotgun makes it perhaps the most badass scene in the entire game, even if the chainsaw sound effects were lacking. You have to dodge falling debris, then fight a floating chair, 3 floating knives, and finally the painting. Oh, and don’t be standing under the chandelier because that will fall before it’s all over. Several boss battles have a “One more thing…” moment, so you have to be on your toes while the game still gives you control of the character. While the game sticks well to a haunted / gory mansion motif, the decor grows incongruous at the end of stage 4 as I thought the character had just stumbled into Dracula’s castle. In this seemingly interminable hallway, Rick finds a golden machete as well as a gaggle of disembodied heads revolving around an inverted cross. This confused me somewhat — is the inverted cross supposed to be an evil symbol? After a little digging, apparently, it’s construed to be an evil symbol to some. But compared to the rest of the horrors in the mansion, if you have to explain why this one particular artifact is evil, it’s probably not doing its job. Though I’m thinking that having the heads revolve around the number “666”, or worse yet, fighting a bunch of flying “6”s would have seemed ultimately hokey (not unlike fighting the giant Decepticon symbol in the Japanese Transformers NES game). All in all, this was a lot of fun. It was a lot of trial and error in the classic side-scroller sense, but still enjoyable. Then again, remember what I’m used to doing for the sake of this blog — playing forgotten, obscure, or just plain bad games that no one else wants to bother with, all in order to fill gaps in the database. It’s nice to play a more famous and generally better game every now and then. All that said, I really don’t like RE4:ME. The game allegedly follows the primary flow of the original game, only dumbed down slightly given the limited input facilities of the iPhone. And those limited input facilities are really the rub here. Honestly, I have had this same problem with a lot of iPhone games. Sure, you can touch the screen and you can tilt or shake the unit, but that doesn’t necessarily help with many different types of games. 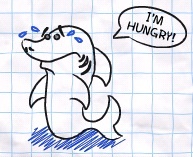 Such as this. 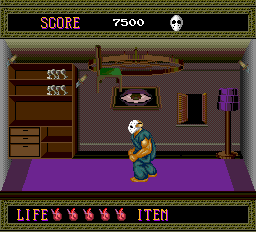 Here, the player must use the touch-directional pad on the left to move and then use the context buttons on the right to switch to different modes (aiming vs. moving vs. using knife). Manually reloading the weapon is performed by shaking the unit which is a nice touch once you get used to it. 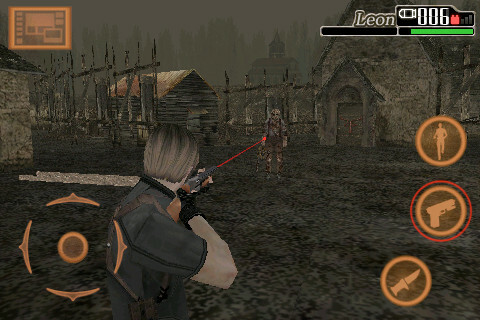 The beginning of the game starts Leon in an enclosed village area reminiscent of the original village from RE4. 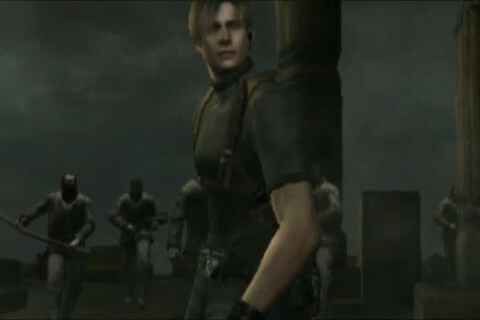 First, Leon can practice blasting the possessed Spaniards, slashing item boxes, and picking up items. 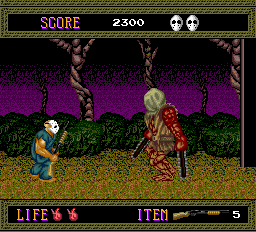 After knocking off enough enemies, the first chainsaw dude appears. Even though I had already collected the shotgun, I couldn’t take him down. This was exacerbated by the fact that there are still many other enemies coming at the player at the same time as Mr. Chainsaw. It’s not effective use of the 6 shotgun shells to use them on the lower level goons and it’s unwieldy to constantly switch between weapons. Plus, the very detailed graphics are on a very small screen and it’s quite difficult to focus on them for extended periods without growing fatigued or suffering from a headache. I was struggling to find some halfway decent game to play today, especially after the Outpost bust. Given the kind of games I collect, I wasn’t very hopeful. I turned my attention back to my iPod Touch. I have a whole bunch of iPhone/iPod Touch games but I haven’t been terribly motivated because few of them are at all special. But then I finally decided to try a pair of games that were on sale some months ago — Sally’s Salon and Sally’s Spa. These games have reminded me of the importance of giving a new game a fair shake no matter how inane it might sound from the instructions. Chronologically, the Salon game comes first (not that it matters much). Sally has a dream about starting a successful salon and you’re going to help her. The reason the game sounds so trifling — and I have this problem with a lot of iPhone games — is that the physical unit does not allow the player to do very much. Customers come in and wait while they have little pictorial balloons over their heads indicating what services they would like to purchase. To grant these services, tap on the customer, which causes them to march over to the correct beauty shop station. Tap on the customer to walk over and service their head. Certain things, like haircuts and colorings, require customer feedback as you iterate through possibilities and read the customer’s smile or frown as to whether they want that style. As I read the instructions and marched through the tutorial, I could feel myself dozing off and my finger creeping toward the home button of my iTouch. But I stuck with it for a full round and decided I quite enjoyed it. So after playing through enough levels, I was eager to jump into Sally’s Spa. Strangely, the instructions here nearly put me off as well, but for a different reason– while I was expecting pretty much the exact same game, I instead got one that was pretty similar but had a few more things to keep track of. Essentially, I was afraid the first game would be too brainless and that the second would be too mentally taxing. There’s just no pleasing me. In Spa, Sally is taking a vacation to a beach resort after being wildly successful in creating a salon franchise when her friend informs her of a void in the local spa market. Our entrepreneur can’t pass up the opportunity. The spa has more stations for customer satisfaction. Your friend also sells you items to sell through your spa (skin cremes, hair conditioners, etc.) which you can stock based on the weather. 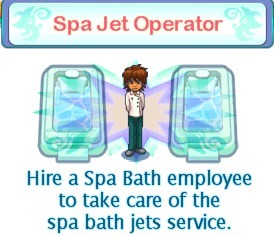 I can tell you that the spa jet operator has to be the most worthless hire in the game. When moving customers to the spa, sometimes, they just want the bubbles, and this monkey can push the button to make that happen. But the customers nearly always want some colored bath bomb which only I can administer for some reason. These games both fall into a category called time management games, simple and addictive. It should also be noted that these are also available for the Nintendo DS and Windows, and that they are published by Real, the people behind the RealPlayer. Did you even know they still exist? 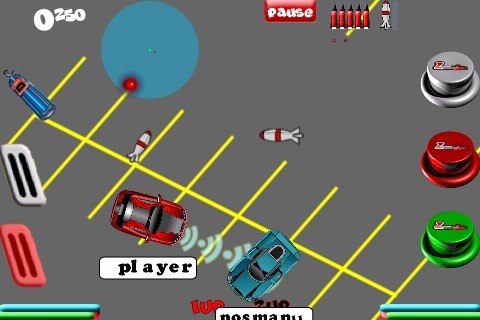 The point of this game is to select a car for yourself and one for your computer opponent and then the 2 of you roll around the parking lot of infinity. You tilt the unit in different directions to steer the car but it’s very difficult to get used to, especially with another car firing bullets and missiles at you. I eventually gunned it in one direction to try to escape. But this parking lot just went on forever. The UI is also sort of mess with all of its buttons (gas and brake on left; 3 buttons on right; pause button at top). It makes me think that this is where the iPhone’s input limitations are revealed. You can tell it’s L.A. because the car is cruising along the Hollywood Walk of Fame. Err, make that the “Avenue of Fame,” as the game calls it. I suspect Hollywood has some potent intellectual property claims on the real thing. Just as well, though; the walk doesn’t look anything like the real deal. This game has 3 control schemes to choose from and I experimented with each. The first is to touch the tall screen on either side in order to affect direction. The second is to tilt the screen side to side for steering. The third option has a little steering wheel on the bottom of the touch screen. I thought I would like the accelerometer tilting option the best but I had trouble keeping the car moving in a straight line. Control scheme 1 worked the best for me. Another feature of Elite Racer — which I understand is not especially uncommon in these underground-type racers — is the ability to unlock new female companionship as the levels progress. It’s a tad disturbing, I realize, but it’s apparently a mainstay of the genre, based on this game and some other game trailers I’ve seen. It’s a curious concept — unlocking better women as you gain more skill. Another facet of the game is automobile customization. 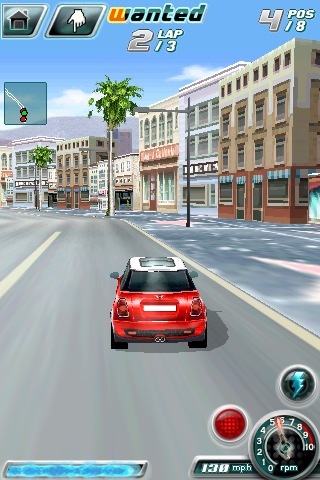 I know that this game allows you to change the body color and rims. From what I’ve seen of more powerful underground racers on modern systems, customization is a serious part of the game. And I just realized that male gamers who put any serious effort into virtual automobile customization probably have little cause to ridicule female (or male, for that matter) gamers who get a kick out of dressing up characters in their favorite game franchises. 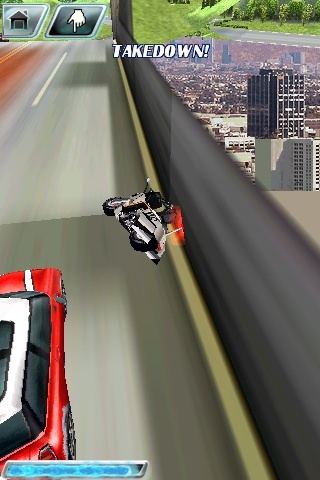 I’m on a real kick with these iPhone games. They’re irresistible for my purposes — inexpensive (I’ve been going for the 99-cent ones), simple, fun, casual games that are easy to write up for entry into MobyGames for cheap contribution points. 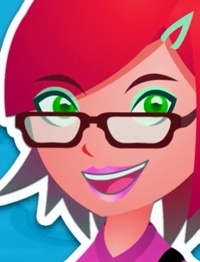 The iPhone and iPod Touch make it effortless to capture, download, and organize a wide range of representative screenshots; the original cover artwork is trivial to separate from the main application; and the creators typically list their credits somewhere accessible (and there aren’t too many of them, which means that MobyGames gets to have credits for the game record but without too much effort on my part). The first catch is that you have limited darts. 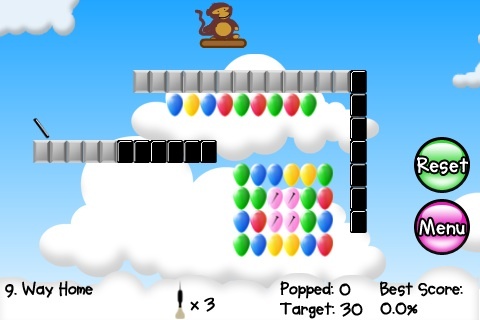 Certain levels have special balloons that give you more darts. Then there are lots of other types of special balloons, such as the one filled with tacks– popping it will pop all of the surrounding balloons. 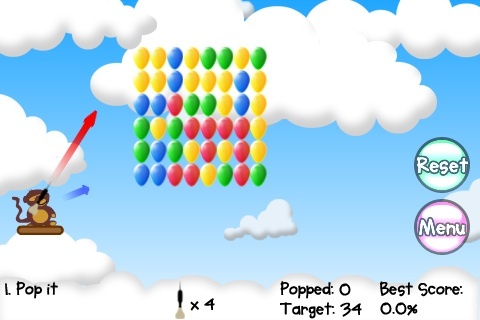 Each level has a minimum number of balloons that must be popped before you are allowed to progress to the next stage. I like this game; it has the same trajectory/velocity gameplay that I have seen in many other places but with a twist I had not seen before. The only thing that really annoyed me (apart from the confusing difficulty met at only level 9) was that the screen orientation was opposite what I was used to for most landscape uses of the iPod Touch. However, the game was published by an outfit named Ninja Kiwi, a name that implies that they are in the southern hemisphere. Perhaps screen orientations are opposite down there, just like toilet flushes (or not). 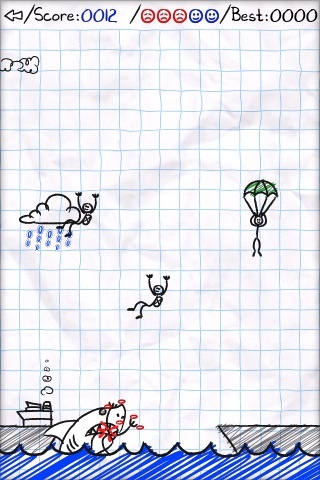 Next up is Parachute Panic which features a rather distinctive art style made to look like crude pencil and crayon artwork on a sheet of notebook paper. The game also makes industrious use of the unit’s tall screen. The parachuters need to land safely on the ships below, which may or may not be stationary. Tap on the ‘chuter to open their chute and swipe the screen in their vicinity in order to manipulate the weather to blow them in one direction or the other. Watch out for the varied threats such as sharks, helicopters, and UFOs. The last game is StickWars. 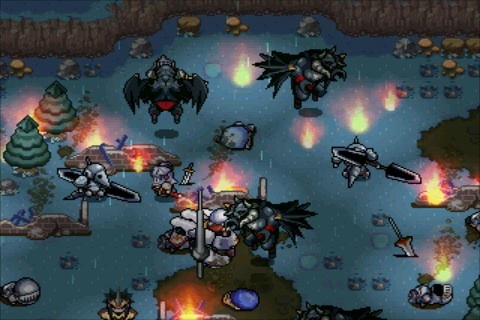 Like today’s other 2 games, it is designed expressly for the iPhone’s unique control capabilities (unlike, say, Zenonia which had a console-style control schema overlaid on the screen). StickWars has the player defending a fortress wall from invading hoards using magic, apparently. When the stick figure invaders (those poor stick figures take a lot of abuse in today’s games) come on screen, touch them on the screen and fling them high into the air. That would have to be demoralizing to any advancing army and I’m frankly surprised that they have the courage to keep up the assault, level after level. This flinging shtick gets old in a hurry so the game designer(s) made the act of flinging the barbarians rather lucrative (I think you know the expression: “Step 1) fling invaders; step 2) ??? ; step 3: PROFIT!“). With this money in the bank (and earning interest during each round), the player can fix walls, fortify walls, build prisons to hold prisoners rather than killing them outright, and lots of other stuff that I have yet to fully explore. After my positive experience with my first-ever iPhone application for my iPod Touch, I started wondering what else was available. 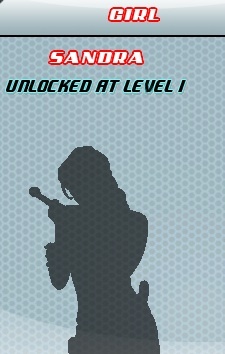 I don’t know why, but I wondered if there were actually any role playing games for the iPhone. A tiny bit of searching produced a title named Zenonia. Not only am I having my first experience with iPhone games, I also recognize that I am really having my first genuine experience with handheld games. I’ve never owned any kind of Nintendo handheld device or any other type of portable gaming device (to be fair, there was that brief affair with the contraption I bought on a plane). I’ve always wondered about the gameplay model for a handheld game– are they strictly meant to be distractions when people are traveling or otherwise on the go? Or do people buy involved games and sit down in their homes to experience them? I guess it’s both, given the success of the form factor and the breadth of games available throughout the years. As for involved RPG games, the Final Fantasy series certainly seems to have thrived on the handheld systems. So how does this game stack up against other games in the genre? I’m probably not qualified to answer that since I’m not really an connoisseur of the genre. I can tell you that Zenonia seems incredibly story-driven and linear, at least at the outset. It’s busy, yet highly simplistic. There are lots of things happening, but the game always tries to keep you on a single track. It’s almost as though the game is designed to grant the illusion of depth that a full console RPG would provide, yet still allow for abbreviated play sessions throughout a series of boring corporate meetings over several weeks, all without the player necessarily forgetting what has happened so far in the game. The storyline on offer revolves around the protagonist Regret. Yes, Regret. Everyone in this game has strange names. Lord Virulent is another. I think he is one of the bad guys. According to my screenshots, there is a Lady Charity, Vicious, Sun, Tender, and Billy. A tricky thing about playing these iPhone games is that it doesn’t really lend itself to my usual Gaming Pathology workflow, where I take copious notes in the process of playing. Since I end up playing these games wherever I happen to find myself with my iPod Touch and a few minutes to spare, I don’t often have my note pad with me. Here is what I remember from the storyline: There was an epic battle between the Good Guys and the Bad Guys. The Bad Guys lost and accidentally dropped a baby near the front lines. The general from the Good army adopts the baby and leaves the army to raise the baby. This baby is you, Regret. Years later, a demon comes and kills the adoptive father. Regret, now 17, sets out on a quest to learn why his father was killed, and whether it was a demon. I don’t think anyone actually saw the murder take place because everyone keeps whispering about whether a demon was involved. 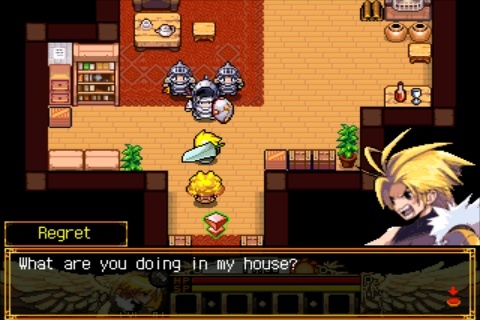 But as with any good RPG, Zenonia involves lots of insipid quests. I’ve learned that these are sometimes called FedEx quests since they usually take the form of someone asking you to go fetch them something before they agree to help you advance the storyline to its ultimate conclusion. 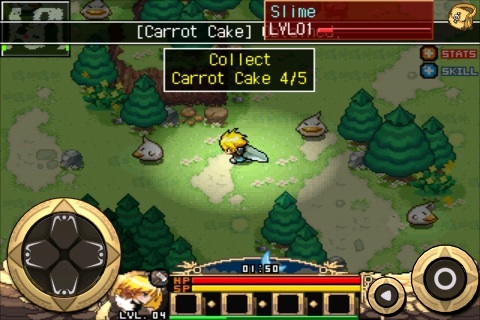 Quests like reclaiming 5 carrot cakes that some slime monsters just outside of town stole (sounds yummy– do you suppose that the person wants the cakes back just as a matter of principle?). At least it’s good, low-impact practice for combat. 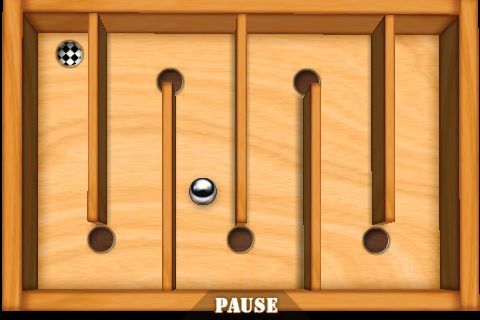 Something that people invariably wonder about an iPhone game: What is the control scheme like? 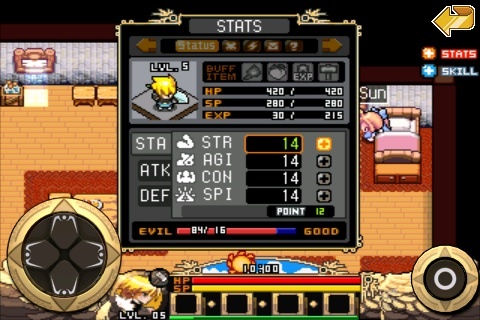 For Zenonia, there is a digital gamepad on the lower left of the screen and a general action button on the lower right. 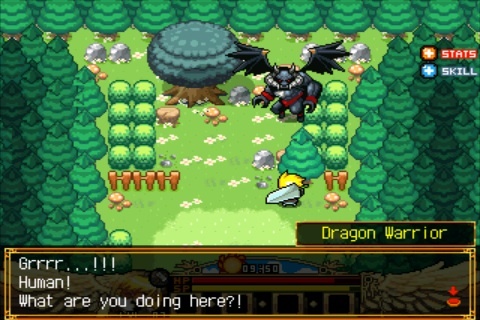 The action button attacks when near a monster and talks when near a person. 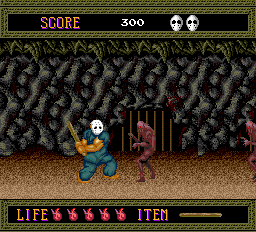 The combat system consists of repeatedly hitting the action button in the general vicinity of a monster, hitting it most of the time, and occasionally missing; the success or failure of the swing is updated in a status window, as are the creature’s return blows. There is also the status screen button which takes you to a tabbed window to manage a lot of extra information. I stipulate that Zenonia has a great challenge to cope with– it needs to provide a lot of functionality, playability and control using a very limited input mechanism (relative to even a classic Gameboy which had a built-in gamepad and 4 other buttons) and everything needs to be very intuitive. It does a pretty good job, though the player probably needs to be familiar with RPGs in general to really get up to speed on this. For the first hour I played this, I was just trying to find an opportunity to save, knowing that if I backed out of the game, I would lose my progress and have to suffer through the story setup again. Eventually, I recognized that I could save absolutely anytime from the status screen. There is also a good/evil aspect at play, which you can see via the status screen above. It begins at 50/50. I witnessed a battle between a Good character and a Bad character and was given the choice to intervene by helping out the Bad character. I took it and saw my alignment tip severely toward the evil end. Day and night also transpire in this game. These 2 features alone make this the single most advanced RPG I have ever played. So will I keep playing this game after this MobyGames recon session? Most likely. I mean, it comes with me everywhere and it’s never to difficult too remember where I left off. The status screen helps in this respect since it defines what your current mini-quests are and the map screen lays out the world quite well. For now, I need to figure out how to present all the aspects of this game in a concise MobyGames entry. A brief tech note about this game: the download weighs in at just under 10 MB and decompressed (did you know that iPhone apps are just standard ZIP files with the extension .ipa? It’s true– just run ‘unzip’ against one), it comes in at 15 MB. I merely point this out as evidence that small, efficient, lightweight programming seems to be making a comeback (notwithstanding the Myst remake for the iPhone which allegedly decompresses to 1.5 GB on the phone, phenomenal considering that all the original versions fit on single CD-ROMs, and that the multimedia compression technology that the game extensively relied upon has significantly improved in the intervening years). Apple App Store link for Zenonia.